The Central Bureau of Investigation (CBI), on July 12, admitted in the Delhi High Court that it has not been able to find any leads in tracing Jawaharlal Nehru University (JNU) student Najeeb Ahmed, who has been missing for over a year. The lawyer for the CBI in his opening statement claimed that the agency had "followed the court orders and procedures scrupulously" but discovered no leads to find Najeeb. Colin Gonsalves, advocate for Najeeb's mother Fatima Nafees, argued that the CBI has failed to interrogate the prime suspects in disappearance of the first-year M.Sc. biotechnology student, but has issued a Yellow Notice and is going on a wild goose chase around the world. "It is no wonder that they have not found any leads when they have not examined the location details and mobile phones of the accused persons," he told the court. The judges ordered the CBI to submit the statements of 18 eye-witnesses to the court in the next hearing fixed for September 4. Najeeb (27) went missing on October 16, 2016, following a scuffle with alleged members of the Akhil Bharatiya Vidyarthi Parishad (ABVP) – the student wing of the Rashtriya Swayam Sevak Sangh (RSS) – at his Mahi-Mandavi hostel. Citing the Minnesota Protocol on the investigation of potentially unlawful death, the lawyer for the petitioner argued that "the CBI has kept the petitioner and her family in the dark and conducted a non-transaparent investigation by denying them the status reports, which are filed in sealed envelopes before the court". After the hearing, Najeeb's distraught mother said, "I don't think that the CBI is interested in finding my son. I have attended every single hearing in the High Court and I can say with certainty that the CBI has only worked to shield those persons who assaulted Najeeb. It is unacceptable that the CBI is suggesting closing the case without finding my son. When I approached the High Court, I believed that justice will be done. But I still have one question, Where is Najeeb?" The CBI's response in the court – she said – only adds to their fears that the probing agency is preparing the ground to file a closure report and wash its hands off the case. Hurling a battery of questions, she asked, "Is it really possible for a person to vanish into thin air without a trace? Is it not logical to probe the link between a brutal assault on this missing person, prior to his mysterious disappearance? Why then has the CBI, like the Delhi Police, been adamantly refusing to investigate the assault even though there are scores of eyewitness to the assault?" She alleged that while the Crime Branch of the Delhi Police dragged the investigation for a year and even fabricated the evidence of Najeeb leaving the campus on his own in an auto, the CBI has conducted an "opaque and biased investigation, succumbing to pressures of the Central government and shielding the accused ABVP members". The high court handed over the case to the CBI on May 16. The nine students, who are suspects in the case, have not so far got their statements registered before a magistrate. The CBI has reiterated the same it had said in the court during previous hearing on May 10. The agency had told the court that an award of Rs 10 lakh had been announced to anyone providing clues about Najeeb. It had also informed that court that Interpol assistance had been sought for issuing Yellow Corner notice to know his whereabouts. 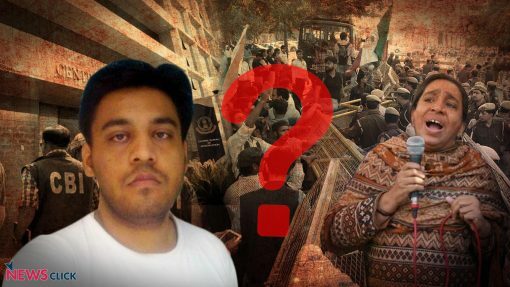 The CBI in its eighth report since it has been handed over the probe had said despite all efforts, the agency is yet to ascertain Najeeb's whereabouts.